Hanging out at the CowboyBar far too often is not good for productivity. But sometimes you learn new words from uncle JayWalk. 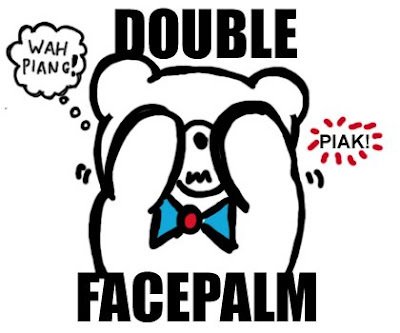 DOUBLE FACEPALM: Similar to the FACEPALM action, but with double the exasperation. 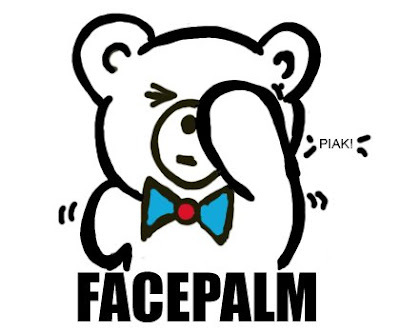 Especially after hearing that Mas Selamat escaped through a toilet window which was without grilles, due to a conflict with the window contractor.GeBIZ very difficult to use meh? Singapore so many other window contractor what!